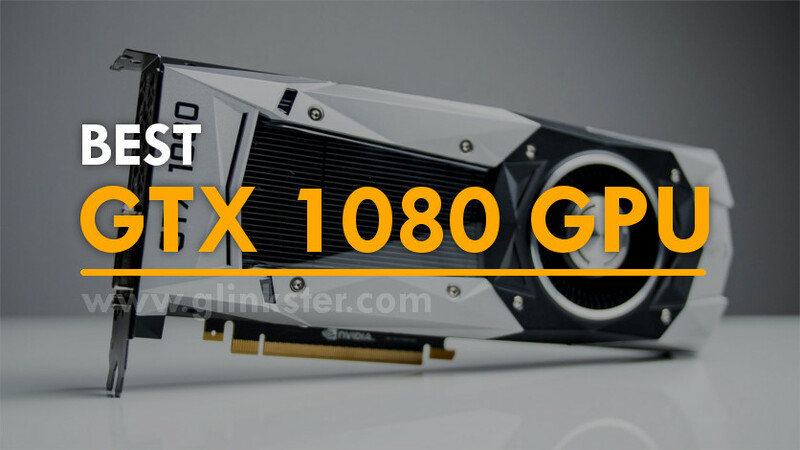 The GTX 1080 is one of the most power-packed gaming graphics cards in the current times. Surely, upgrading your old GPU with a GTX 1080 will give you a major performance boost. But, there are many brands offering GTX 1080 GPUs and it becomes hard to decide which is the best GTX 1080 graphics card. And, this is the most common question when it comes to graphics cards. So, here’s the short answer. When it comes to gaming performance, there are no significant differences between the best GTX 1080 graphics cards. It’s just the matter of connectivity options, budget and the brand value. So, I have outlined all these factors for each of the GTX 1080 cards reviewed below and you can easily decide which one to choose! I know, the statement that I just made is controversial, and, probably many of you are already offended about it. But, believe me, there is a mere in-game difference no matter which GTX 1080 card you use given all other components remain the same. Frankly speaking, as far as I have tested the above-listed GTX 1080 cards, you may get 4-5 FPS extra compared to one another. And, the price difference among those can be an extra 100 bucks which I personally do not consider as value for money. At least, I would not spend a $100 for an insignificant improvement that you cannot even feel without running benchmarks. So, in my opinion, the only thing that matters while selecting the best GTX 1080 graphics cards is your brand preference, lifetime and the budget. 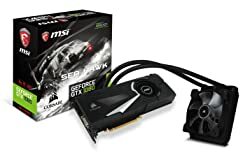 How Relevant is GTX 1080 in 2018? We all know the GTX 1080 was first released two years back, so gamers often ask whether it is still relevant in 2018. To answer that, here’s a really cool video benchmarking the performance of GTX 1080 in various games and at various resolutions. Obviously, the newer GTX 1080 Ti is a better graphics card but again you have to invest more. So, in this post, we will stick to the GTX 1080 card only. There are a few things that I must warn you before you buy a GTX 1080 from any of the brands. You must avoid buying the compact ones with single fans because they are are going to heat up no matter what. Also, they make more noise when they are running at their max potential. With that said, you can choose any of the GTX 1080 cards below! Basically, this is the list of my personally recommended GTX 1080 cards from different brands out of 12 GPUs that I have tested on my workbench and found them to be the best fit for all budgets! Here are my top 4 picks for best GTX 1080 graphics cards. Before I go on to talk about the Gigabyte GeForce GTX 1080 G1 Gaming, let me tell you this is a GPU that I am using currently on two of my builds. And, I am glad it works like charm for all the games I play and even for video production for our youtube channel. 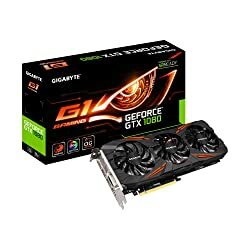 Everybody knows how GPU prices are fluctuating these days, but while I am writing this post, Gigabyte GeForce GTX 1080 G1 Gaming is available at under $500. That’s a perfect steal! It has got 8 gigs of gddr5x memory which means theoretically zero lags given you are not running an underpowered processor ruining the fun for you! On top of that, with three fans on-board, there’s efficient cooling and that’s what the temp benchmarks reveal. While playing PUBG for around an hour straight, the temperature was just 68°C which is completely okay! The size, 41x280x114mm, is also pretty much fitting for any ATX form-factor gaming case. And, it supports up to 8K display @ 60Hz. For the looks, it has a trendy design and customizable RGB lighting support. Though it really does not require overclocking but for the testing purpose, I was able to overclock it to touch 2GHz while its base clock speed it 1695MHz. And, even with that heating is not an issue, but it becomes a tad noisy. Also, Gigabyte has a built-in OC mode which pushes the clock speed to 1860MHz on its own. Before going for overclocking, I would suggest to a powerful gaming power supply preferably 500W+ model. EVGA GeForce GTX 1080 SC Gaming is just the enhanced version of the original GeForce GTX 1080 gpu by Nvidia. This custom card features the ACX 3.0 cooling system in place of the stock blower fan system that Nvidia uses. The ACX 3.0 cooling involves two powerful fans optimized for lowest noise and maintaining the temperature to the minimum. These fans are equipped with double ball-bearing for a longer lifespan. Also, the SHP 3.0 straight heat pipe design lowers the temperature further by 10%. Despite having two fans, it kinda matches the max temperatures of Gigabyte one which boasts three fans. The max temp it registered was 71°C and that’s quite incredible. There’s 8GB gddr5x memory running at the base clock of 1708MHz which easily tackles most of the modern DirectX 12 based video games. The EVGA GeForce GTX 1080 SC Gaming has all the VR capabilities you would want as a gamer, thanks to the Nvidia GamerWorks technology. For overclocking, EVGA offers a software-based control panel called PrecisionXOC. It enables you to pushes the default base clock of 1708MHz to as high as 1847MHz with a single click. After tweaking the input voltage, I was able to overclock it to just under 2GHz but that produces a spike in the operating temperature. I dont know about other gamers, but i personally like the ROG (Repulic of Gamers) design elements on almost all Asus gaming products. That’s the case with the ASUS GeForce GTX 1080 ROG STRIX as well. This GTX 1080 GPU also boasts 8 gigs of memory with a three-fan cooling setup. While more fans in itself assure better cooling, but Asus takes it one step further with patented blade design and IP5X dust resistance. So, it continues to deliver the same cooling efficiency for a longer period. For even better heat dissipation, the heat sink is built with MaxConnect technology heat pipes and DirectCU III cooling. This gives a solid 30% boost to cooling and three times quieter operation. With dual HDMI 2.0 ports, the Asus GeForce GTX 1080 ROG Strix is ready for 4K as well as VR. Other than that there are two native Display Ports and one DVI-D port. It also supports Asus Aura Sync for perfect RGB lighting. If you are buying a GTX 1080 with extreme overclocking on your mind, then Asus GeForce GTX 1080 serves as the right choice. Firstly, it comes with Asus GPU Tweak II, a software utility that makes the overclocking so easy with various pre-built modes to choose. In the Gaming mode, the clock speed is 1809 MHz while in the OC mode it jumps to 1835MHz. But as I told you, all that overclocking is going to fetch few extra frames per second and nothing else. For those who prefer liquid cooling sytems, the MSI GeForce GTX 1080 Sea Hawk is an apt choice. There are many liquid cooled GTX 1080 cards out there, this is the only one that I found actually worth it. Coming from an established brand like MSI, just forget about going wrong with it. But, what really lets me put it on the fourth place and not the first or second one is the price. It is more than twice the cost of a regular GTX 1080 with an air-cooled system. Man, that’s crazy. Isn’t it? And, after spending a fortune on it, you will have more scope for overclocking because of the liquid cooling and that will mean probably 10 FPS more in your games. 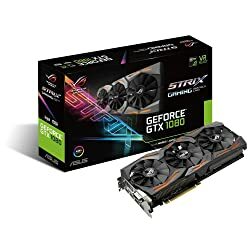 I guess only Pro Gamers would want this GTX 1080 card. Another advantage of liquid cooled GTX 1080 card is the silent operation because there’s just one fan, so less noise. On the other side, there’s regular 8GB of memory for graphics processing and support for attaching up to 4 monitors. Just other flagship graphics cards, MSI GeForce GTX 1080 Sea Hawk also has a standalone software – the MSI Afterburner – for overclocking and other performance tweaks. It allows complete control over the graphics cards letting you manipulate the Core Voltage, Clock Speed, Memory Clock and the Fan Speed. The program is intuitive and it is quite easy to configure everything. In Gaming Mode, the clock speed reaches 1822MHz while in OC mode it tops at 1847MHz. But I tried to push it even further, and it crosses 2GHz without must temperature issues. Which GTX 1080 Card Should You Buy? Well, those were my top favorite GTX 1080 card after all the testing. Now, the question is which GTX 1080 should you buy. And, my answer is frankly any one of those I have mentioned above whichever fits on your budget. In case you want to go by my recommendation, I would suggest the Gigabyte GTX 1080 G1 Gaming. It works perfectly, it’s durable and quite affordable for all. 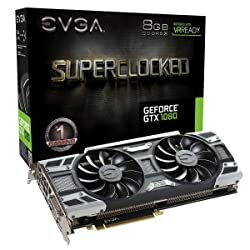 And for those who are looking for the cheapest GTX 1080 card, go with EVGA GeForce 1080 SC Gaming. You will get the maximum bang for your bucks with this one. In the end, I am sure that you would not go wrong no matter which GTX 1080 card you choose from the ones I have mentioned this list. It’s a wrap! If you have liked this post, please share with your gaming friends on social media. Did I miss something or you have something to share about the GTX 1080, please tell me in the comments section below. Keep visiting Glinkster for latest gaming prodcuts reviews.